Is it time for a more economical car? If so we invite you to come see the new Ford Fiesta in Redwood City, California. Available as either the 4-door sedan or the 5-door hatch back this versatile economy car has a starting MSRP under $15,000. We have a nice selection of new models in stock and frequently have used Ford Fiesta models in our inventory. Ford financing is available in our auto finance center. Our Ford finance experts can help you take advantage of special offers and factory incentives so you are sure to get our very best price. We will also explain available options for buying or leasing a Ford Fiesta and will arrange affordable monthly payments. For expert Ford service and repair our auto service center offers routine maintenance such as oil changes, tune ups, wheel alignment and more extensive diagnostic and repair services. Our certified technicians understand your Ford and perform all work to factory specifications using genuine Ford parts and accessories. Our Ford dealership is a one stop shop for new Ford sales, leasing, used car financing, auto service and repair. 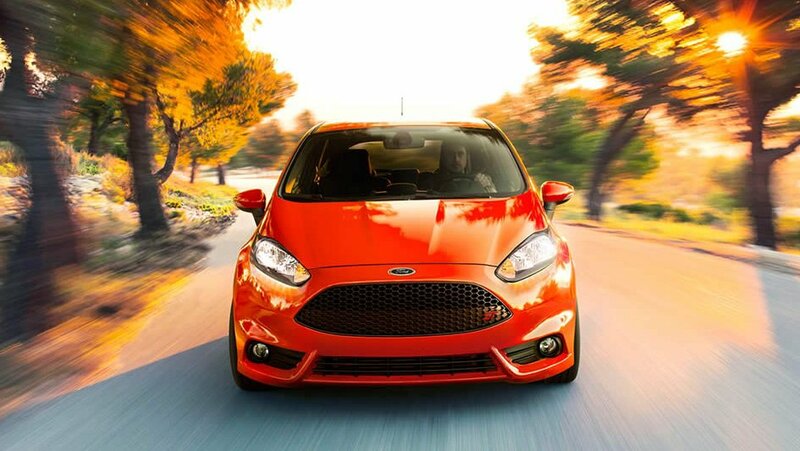 Why not stop by, see our showroom and test drive a new or used Ford Fiesta in Redwood City, CA?